IEEE CSCloud 2015 Proceedings are available at IEEE Library. Cyberspace has changed our daily lives. To avoid system fragility and defend against vulnerabilities exploration from cyber attacker, various cyber security techniques and tools have been developed. This is the major focus of IEEE CSCloud 2015. Cloud computing is the second focus of CSCloud 2015. The emerging paradigm of cloud computing provides a new way to address the constraints of limited energy, capabilities, and resources. With big data processing, computation, distribution, and storage capability, cloud researchers and practitioners have embraced computing as a new approach that has the potential for a profound impact in our daily life, health care, and world economy. The focuses include cloud models, heterogeneous architecture, tele-health, resource allocation, load balance, multimedia, and QoS, etc. For example, the cloud-based image processing and pattern recognition has been playing an important role in tele-health field. It has been confirmed that distinguished papers published at CSCloud 2015 and NSS 2015 will have a priority for considerations in the following listed 10+ SCI & EI indexed special issues after the revisions. Grant Workshop: Security and Cloud Computing will be co-hosted with IEEE CSCloud 2015. Directors of NSF will present. For registration, please contact us. 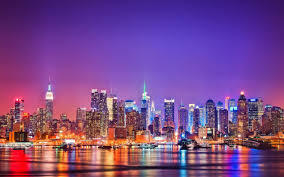 The 2nd IEEE International Conference on Cyber Security and Cloud Computing (CSCloud 2015) will be held in New York City, a dynamic, modern, and attractive metroplitan in the United States of America, November 3rd - 5th, 2015. We are sure that you will enjoy your stay during the period of the conference. We provide authors with an introduction of New York City in order to assist authors to plan the trips.